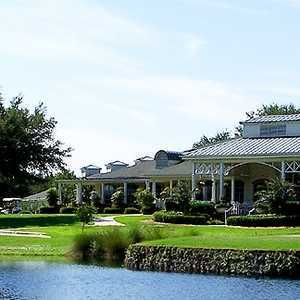 The 18-hole Brookridge Golf & Country Club in Brooksville, FL is a private golf course that opened in 1975. Brookridge Golf & Country Club measures 6523 yards from the longest tees and has a slope rating of 121 and a 71 USGA rating. Much of the Brooksville Country Club golf course, a 6,871-yard, par-72 track that opened in 1971, weaves through mature live oak trees with rolling fairways and elevated tees. The 18-hole Hernando Oaks Golf & Country Club in Brooksville, FL is a public golf course that opened in 2003. Designed by Scott Pate, Hernando Oaks Golf & Country Club measures 6905 yards from the longest tees. The 18-hole High Point Golf Club in Brooksville, FL is a private equity golf course that opened in 1973. High Point Golf Club measures 5199 yards from the longest tees and has a slope rating of 106 and a 66. The Pine Barrens Course at World Woods, is ranked #26 by Golf Week " Americas Best Modern Course". Pine Barrens is a visually stunning blend of native terrain and golf course design. The 18-hole Rivard Golf & Country Club in Brooksville, FL is a public golf course that opened in 1994. Rivard Golf & Country Club was designed by Lee Duxstad. The Rolling Oaks Course provides the second world-class layout at World Woods. An entirely different, yet no less enjoyable experience than playing Pine Barrens, this course's name also gives clue to its design. 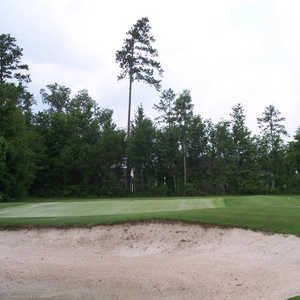 The 18-hole Sherman Hills Golf Club in Brooksville, FL is a public golf course that opened in 1993. Designed by Ted McAnlis, Sherman Hills Golf Club measures 6791 yards from the longest tees and has a slope rating of 122 and a 72. 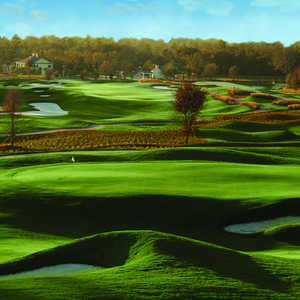 The 9-hole Short Course Course at World Woods Golf Club in Brooksville, FL is a resort golf course that opened in 1993. Designed by Tom Fazio, Short Course at World Woods Golf Club measures 1842 yards from the longest tees. The 18-hole Silverthorn Country Club in Brooksville, FL is a public golf course that opened in 1994. Designed by Joe Lee, Silverthorn Country Club measures 6933 yards from the longest tees and has a slope rating of 132 and a 73. The 18-hole Southern Hills Plantation in Brooksville, FL is a private non-equity golf course that opened in 2006. Designed by Pete Dye, Southern Hills Plantation measures 7557 yards from the longest tees. The greens are floradwarf bermudagrass and the fairways are 419 bermudagrass.